In a CNN interview on Wednesday, Facebook CEO Mark Zuckerberg addressed Russia’s election-meddling efforts. He said he was “sure” Russian entities were trying to interfere with the 2018 US midterms. He promised increased efforts to stop Russia but said it was a never-ending task. Facebook CEO Mark Zuckerberg is convinced that Russia is using his platform to try to meddle in the upcoming US midterm elections – and says that staying ahead of disruptive actors is a challenge that will never be complete. 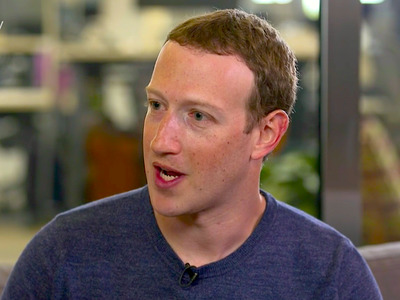 In an interview with CNN on Wednesday, Zuckerberg said it was inevitable that “version two of whatever the Russian effort was in 2016” was underway on his platform. He said he was hiring thousands of extra security experts to try to guarantee the integrity of his platform but acknowledged that there would never be a point at which Facebook is definitely, completely safe. CNN’s Laurie Segall: Do you think that bad actors are using Facebook at this moment to meddle with the US midterm elections? Segall: Do you know what the – speaking of getting in front of them, do you know what they are? Zuckerberg: Yes, and I think we have some sense of the different things that we need to get in front of, and we have a lot of different folks in the company both building technology and – a lot of this stuff requires people to review things, and that’s why one of the big commitments that we’ve made this year is to double the number of people working on security at the company. We’re going to have 20,000 people working on security and content review in this company by the end of this year; we have about 15,000 people working on security and content review now. Now the reality is with a community of 2 billion people, I can’t promise that we’re going to find everything. But what I can commit to is that we’re going to make it as hard as possible for these adversaries to do that, and I think that we’re going to do a much better job. Zuckerberg addressed the Russia question alongside the Cambridge Analytica scandal that has plunged his social network into crisis since reports over the weekend said the data firm had harvested the information of 50 million Facebook users without their permission. After days of criticism for inaction, Zuckerberg on Wednesday outlined steps to stop the misuse of user data by unscrupulous developers and pledged to win back people’s trust.